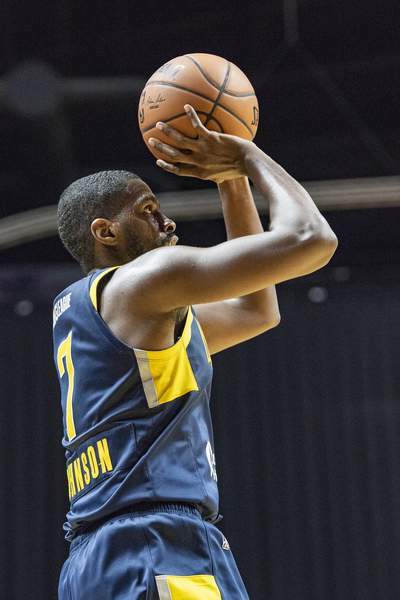 Brett Luke | The Journal Gazette Omari Johnson of the Mad Ants pulls up for a 3-point shot during the second quarter against the Windy City Bulls at Memorial Coliseum on Saturday night. 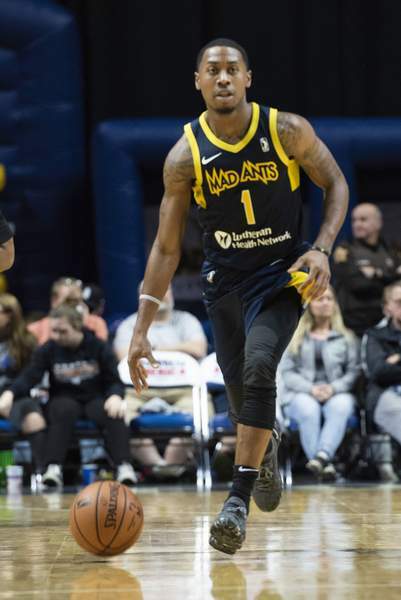 Brett Luke | The Journal Gazette Je’lon Hornbreak of the Mad Ants drives up the court during the second quarter against the Windy City Bulls at Memorial Coliseum on Saturday night. 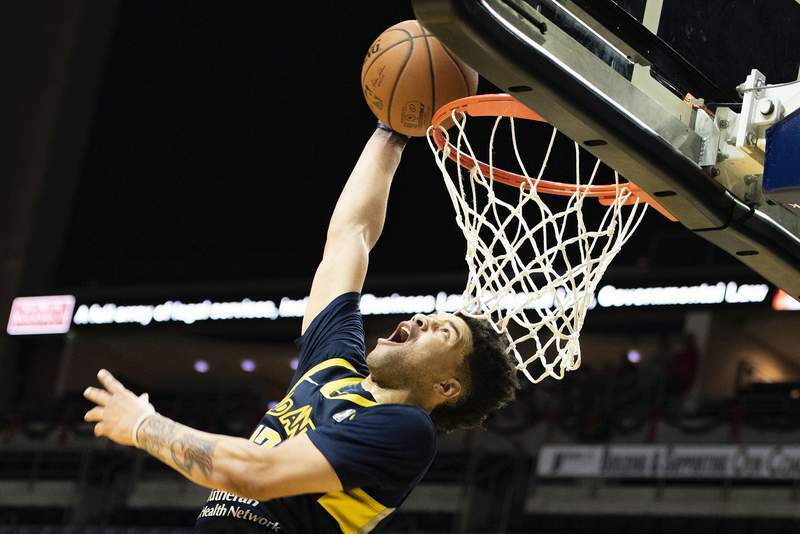 Brett Luke | The Journal Gazette Alex Hicks of the Mad Ants reverse dunks the ball against the Windy City Bulls during the third quarter at Memorial Coliseum on Saturday night. 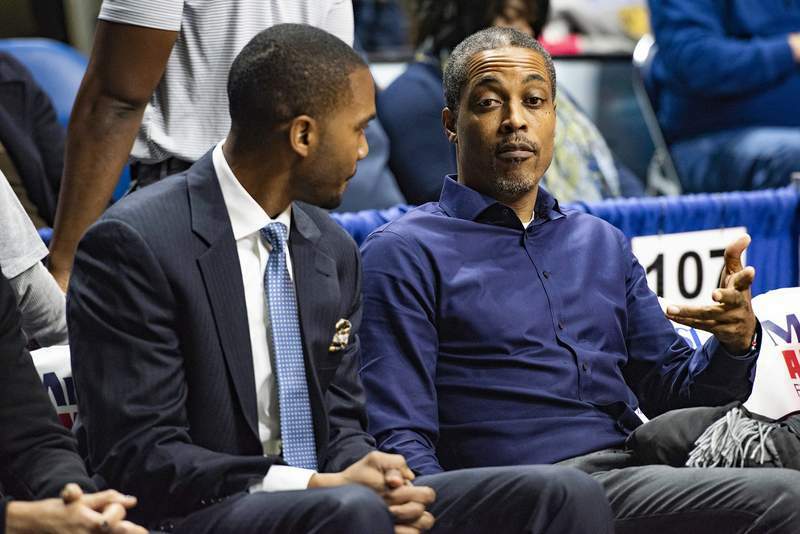 Brett Luke | The Journal Gazette Former Mad Ants player Ron Howard left, speaks with Rod Strickland, right, during the third quarter Saturday night at Memorial Coliseum. 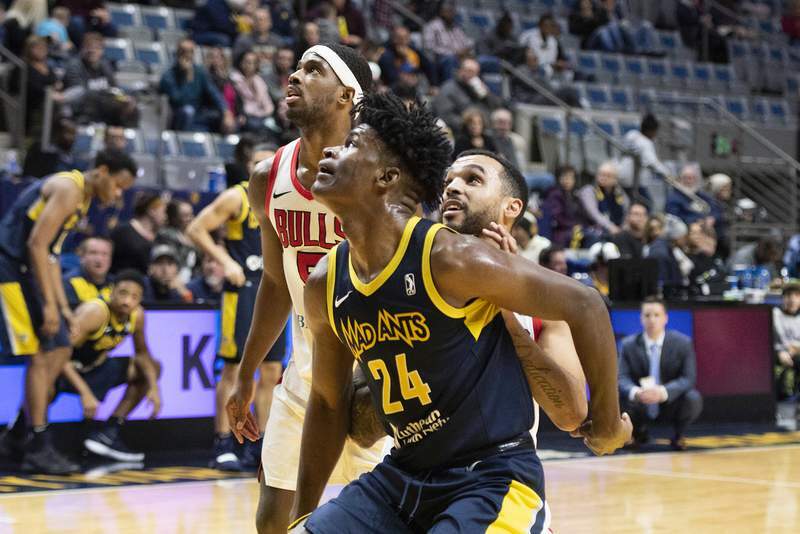 Brett Luke | The Journal Gazette Alize Johnson of the Mad Ants boxes out Mychal Mulder of the Bulls during the fourth quarter at Memorial Coliseum on Saturday night. 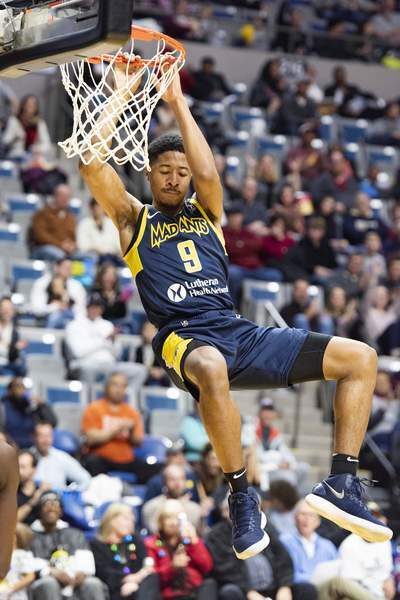 Brett Luke | The Journal Gazette Elijah Stewart of the Mad Ants dunks against the Windy City Bulls during the fourth quarter at Memorial Coliseum on Saturday night. 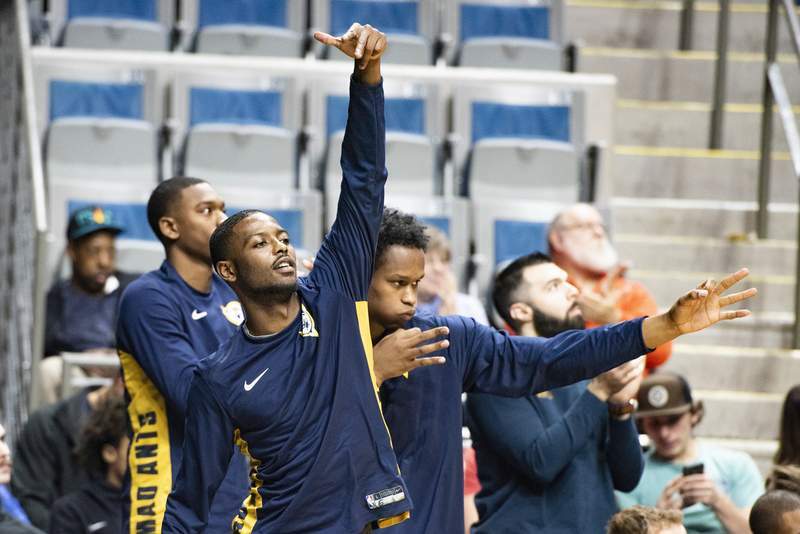 Brett Luke | The Journal Gazette Tra-Deon Hollins, left, and, Jared Sam cheer on their teammate, Je’lon Hornbreak after he drains another 3-pointer during the fourth quarter against the Windy City Bulls at Memorial Coliseum on Saturday night. 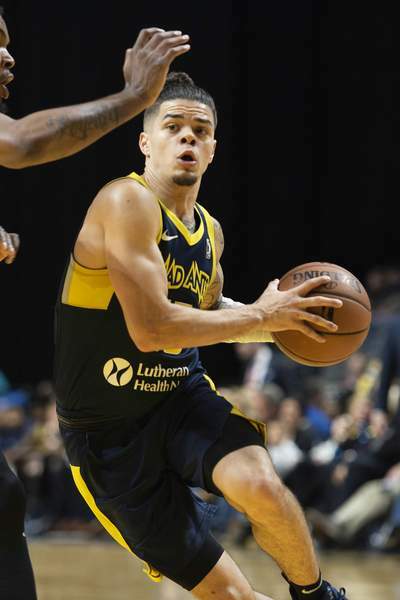 Brett Luke | The Journal Gazette Rob Gray of the Mad Ants drives against the Windy City Bulls during the second quarter at Memorial Coliseum on Saturday night. 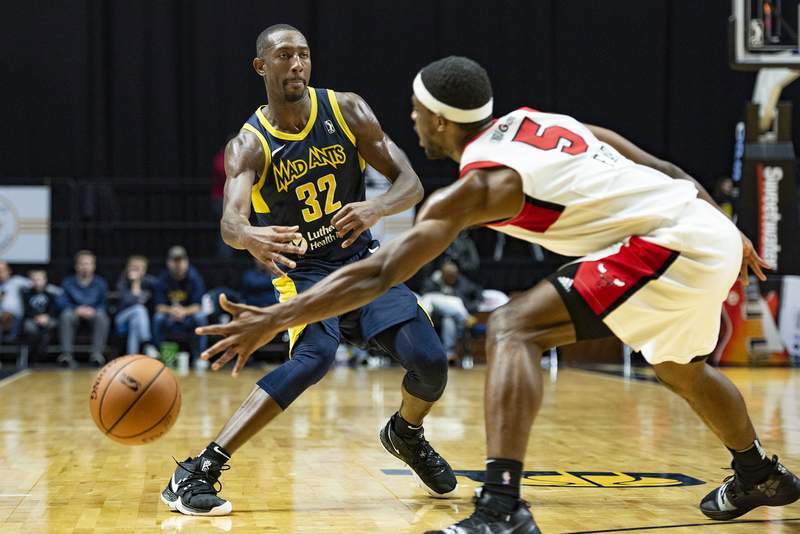 Brett Luke | The Journal Gazette Davon Reed of the Mad Ants hits an open teammate with a pass during the second quarter against the Bulls on Saturday night at Memorial Coliseum. 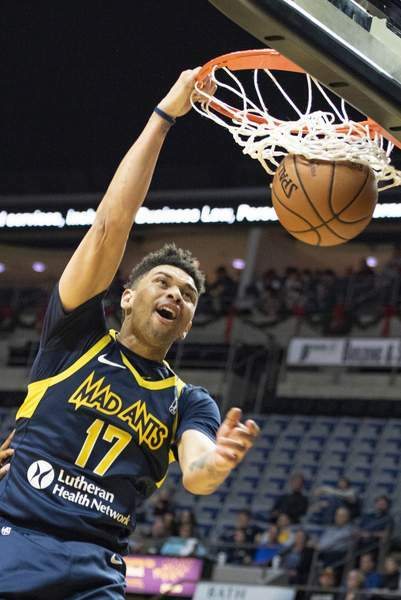 The Mad Ants played host to the Windy City Bulls on Saturday night at the Memorial Coliseum.